glasseyedave	The Gospel the church refuses to believeArminianism, Calvinism, Did grace start at the cross?, Gospel, Grace, How does God impute His people righteousness?, imputed righteousness, salvation, The gospel according to the gospel, The Gospel the church refuses to believe, When did grace start?, Where is grace first mentioned in the Bible?, Why does scripture say we are children of Abraham? I agreed with the comment concerning everything written by Las Artes except at one central point, which needs clarification, since it is central to The Gospel According to the Gospel. Even though my response is directed to Las Artes, it is meant for everyone. We all need to have a correct understanding of when God started to impute men righteousness and the manner in which He does so. Hint, it is not as we are taught in church, “the crucifixion of Jesus brought forth a new gift: the gift of grace”. Thank you for coming to The Gospel According to the Gospel and leaving a comment. You said, “the crucifixion of Jesus brought forth a new gift: the gift of grace”. Gal 1:6-9 I marvel that ye are so soon removed from Him that called you into the grace of Christ unto another gospel: Which is not another; but there be some that trouble you, and would pervert the gospel of Christ. But though we, or an angel from heaven, preach any other gospel unto you than that which we have preached unto you, let him be accursed. As we said before, so say I now again, If any man preach any other gospel unto you than that ye have received, let him be accursed. So, the origins of God’s grace in the gentile’s life is very important to us. The church, Las Artes, teaches exactly what you have expressed, “the crucifixion of Jesus brought forth a new gift: the gift of grace”, so it is natural for you to repeat what you have learned. But does scripture teach this? God’s grace (men not having their sins held against them which we call imputed righteousness) started with the coming of Christ. God’s grace, which started with Christ, excluded the Old Testament saints from this Grace. New Testament saints have the grace of God and we don’t have to work for it, we just get to receive it as a free gift from God. Old Testament saints didn’t have grace, instead they had the Law and had to work for their righteousness. The Old Testament saints are grafted into what Christ has done for us (they only have grace because we had it first through Christ). Except for point number three, what the church teaches about grace is completely opposite of what we have presented to us in the gospel. If grace did not come till Christ came, then we can assume that none of the Old Testament saints could speak of grace, since it had not yet come. Yet, even David spoke of the grace of God. David’s comments were so right on the mark that even Paul quoted David concerning God’s grace instead of making up his own opinion on grace. Rom 4:6-9 KJV Even as David also describeth the blessedness of the man, unto whom God imputeth righteousness without works, (7) Saying, Blessed are they whose iniquities are forgiven, and whose sins are covered. (8) Blessed is the man to whom the Lord will not impute sin. (9) Cometh this blessedness then upon the circumcision only, or upon the uncircumcision also? for we say that faith was reckoned to Abraham for righteousness. We can see that David put his faith in the grace of God. He does not call it grace, but it is grace still the more. Grace is not having our sins held against us. David, being a Jew was circumcised and he enjoyed the grace of those who put their faith in the living God of Israel, no more and no less than the other true saints of the Old Testament and the New Testament. The difference between the Old and New Testaments is that this grace was only for the circumcised (the Jew, the chosen people of God) in the Old Testament. In the New Testament, the gentiles were included in this grace though Christ. Paul’s gospel (his good news) is that this grace, given to Abraham and his children, is now given to us gentiles. Gal 3:13-14 KJV Christ hath redeemed us from the curse of the law, being made a curse for us: for it is written, Cursed is every one that hangeth on a tree: (14) That the blessing of Abraham might come on the Gentiles through Jesus Christ; that we might receive the promise of the Spirit through faith. Paul’s own testimony to us is not that gentiles have been included in the blessings of Christ, the grace given to the apostles, a newly available grace or some new teaching outside of what was given to Abraham. Instead we see that Christ was made a curse and by Him hanging on the tree we get to participate in a blessing by which we gentiles can receive the Holy Spirit. That one and only blessing we get to share in is the one given to Abraham who did not have his sins imputed to him. The Holy Spirit we gentiles get to receive, and through this blessing given to Abraham, is the very same Spirit by which God seals us and establishes us in Christ upon our hearts. 2Co 1:21-22 KJV Now he which stablisheth us with you in Christ, and hath anointed us, is God; (22) Who hath also sealed us, and given the earnest of the Spirit in our hearts. Here is how Paul articulates this blessing as it was first given to Abraham. Rom 4:11-12 KJV And he received the sign of circumcision, a seal of the righteousness of the faith which he had yet being uncircumcised: that he might be the father of all them that believe, though they be not circumcised; that righteousness might be imputed unto them also: (12) And the father of circumcision to them who are not of the circumcision only, but who also walk in the steps of that faith of our father Abraham, which he had being yet uncircumcised. Imputed righteousness is the blessing given to Abraham and this is the same blessing that is given to us today when we put our faith in Christ. 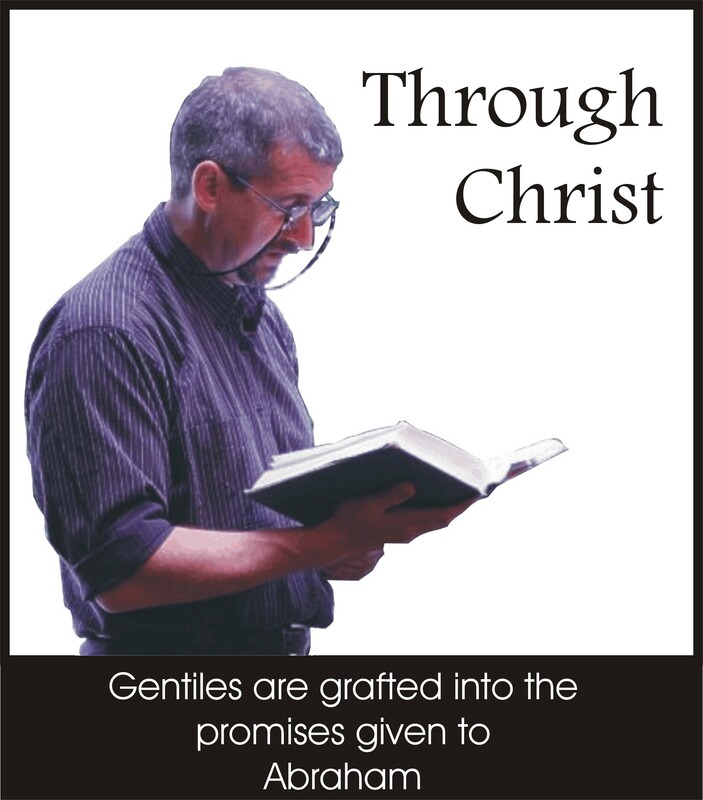 Before Christ, we gentiles were outside of the promises given to Abraham. 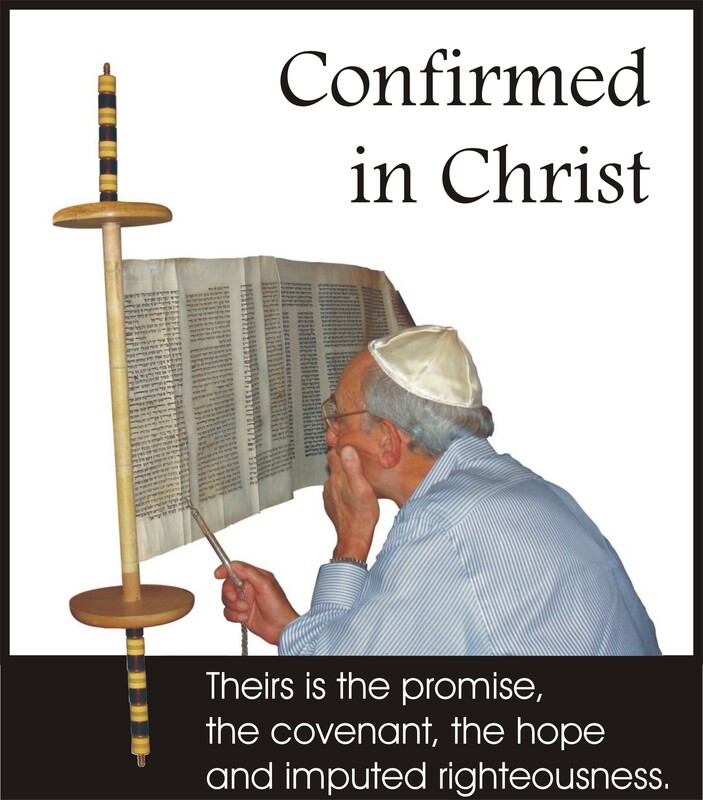 This promise was only given to those who were of the circumcision (the Jews). But now in Christ we who were afar off are brought into this promises that the Jews enjoy. Eph 2:11-13 KJV Wherefore remember, that ye being in time past Gentiles in the flesh, who are called Uncircumcision by that which is called the Circumcision in the flesh made by hands; (12) That at that time ye were without Christ, being aliens from the commonwealth of Israel, and strangers from the covenants of promise, having no hope, and without God in the world: (13) But now in Christ Jesus ye who sometimes were far off are made nigh by the blood of Christ. The testimony of scripture is true, Abraham was credited righteousness, and we who are the same faith as he (whether Old or New Testament saints) are the children of Abraham. This means not only the Jews (the circumcision) who have the faith of Abraham are imputed righteousness (which circumcision was a seal of), we gentiles are now blessed with faithful Abraham when we put our hope in Christ. We are granted the same grace of imputed righteousness and we are now circumcised in the heart and not in the flesh, not by hands but by Christ. Gal 3:6-9 KJV Even as Abraham believed God, and it was accounted to him for righteousness. (7) Know ye therefore that they which are of faith, the same are the children of Abraham. (8) And the scripture, foreseeing that God would justify the heathen through faith, preached before the gospel unto Abraham, saying, In thee shall all nations be blessed. (9) So then they which be of faith are blessed with faithful Abraham. This is how we in point three above, the only point where the church doctrine and the true gospel agree on the grace of God, can say that it is by grace (which we know is a free gift of God) that our sins are not imputed to us anymore. This promise is for both the Jew and the Gentile who have the same faith as Abraham who is the connection point to bring the Jews and the Gentiles together through the promise which Christ used to make both Jews and Gentiles one in the faith. The truth of the matter is that the Law which came 430 years after what God did for Abraham, did not nullify the promise and blessings of Abraham that we gentiles are now grafted into. So true is this statement, that scripture calls this blessing, this promise given to Abraham a “covenant before of God in Christ“. 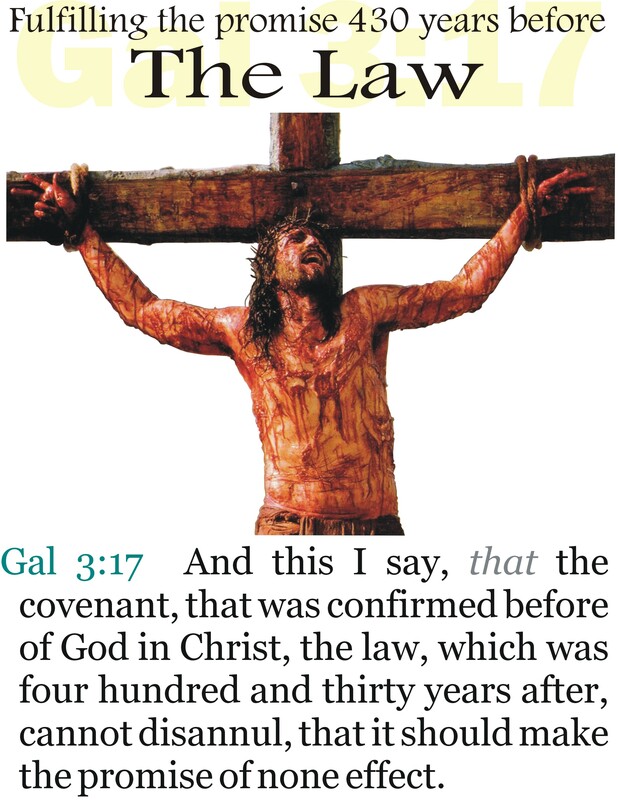 Gal 3:17 And this I say, that the covenant, that was confirmed before of God in Christ, the law, which was four hundred and thirty years after, cannot disannul, that it should make the promise of none effect. The gospel the church refuses to believe is that the covenant that God made with Abraham was for God to be his God for him and his seed and for him and his seed to be His people, came with the gift of imputed righteousness to those who have the same faith as Abraham. The gospel the church refuses to believe is that we gentiles now share in the grace given first to the Jews through a “covenant of God in Christ” which was made with Abraham and passes to us gentiles through Christ being made a curse on the tree. So now you know The Gospel According to the Gospel, now you understand how the church refuses to believe this gospel spoken of in scripture. So what about you? Will you believe in the gospel the church refuses to believe? Or will you continue to believe in another gospel that we did not receive from Paul, which is no other gospel at all? If you have further questions please ask in the comment section below. Excellent post but the opening question which forms the title of the post is a bit flawed. You asked the question “When did grace start, with Jesus?” Of course the answer to that is that Grace began with Jesus. Without Jesus there is no Grace. What you actually meant to ask was whether Grace began at Calvary. Of course the gospel was afore announced to Abraham but the gentiles did not partake of this Grace until after Calvary. Perhaps we could then say that the Grace we are the benefactors of today began with Abraham BUT Grace predates Abraham since it is evident after the fall in Eden as we have seen with Enoch etc. The reason I couched my post the way I did is to shine a different light on how Christians think about grace. At least here in the US Christians say, “We gave grace… they had the Law”. But scripture teaches they had grace, and as you pointed out, through Christ we gentiles now share in this grace freely as His people if we come to Christ. The reason we see grace in Eden is because our Lamb was sacrificed before the foundation of the world. When God breathed life into Adam, God had already (however He does it) demonstrated grace to His creation. It was only manifest to us as time went on with the covenant of Abraham for the Jews (which Christ fulfilled) and through Christ which made the way for us gentiles. Thanks for pouring through my stuff and making comments. I did get your email and I replied. Excellent graphics by the way. I did not know you prepared these yourself. You have got a very good skill my friend. just my thoughts, I really enjoyed this entry. the gospel was preached to Abraham, and righteousness was imputed to old testament saints through faith, just as it is today. And the blessing of the gospel is really not just “heaven” but the Spirit. However, God’s unfolding revelation in time is still important. The grace we receive today, and the Spirit we receive today, is richer in content than the OT saints, because God has moved forward in His program. The Spirit that came upon them in the Old Testament, was the Spirit of God, the ‘raw Spirit’, but the Spirit that seals us today is the Spirit of God, the Spirit of Christ, the Spirit of Jesus Christ, and even Christ Himself as the life Giving Spirit who has passed through incarnation, death and resurrection to be imparted as our indwelling life to make us His Body. This is the Spirit that was “not yet” in John 7:37 because Jesus had “not yet” been glorified. This is the river of the water of life that proceeds from the throne of God and of the lamb – the throne after the Son had been incarnated/crucified and resurrected. So while the promise is essentially the same, the reality that is brought today is richer because we are further along in the timeline of God’s plan. Unfortunately the church, for the most part, only sees that they of the OT had the Law and we of the NT have all the grace. But our grace comes to us through what God did for Abraham. Now consider what Peter says when he taught that Jesus preached to those in the days of Noah. Have any explanations of why only those in the days of Noah? Grace began in the Garden of Eden, with Adam and Eve who sinned. Yahshua (Jesus) is the Aleph and Tav (alpha and omega) and is the Word and thus was with us in the very beginning. Yahshua walked with Adam and Eve in the garden. Therefore, grace was with the ages as much as it has been presented to us, in the flesh, on the cross. In addition we have the promised gift the Holy Spirit of which the Old Testament saint did not have?